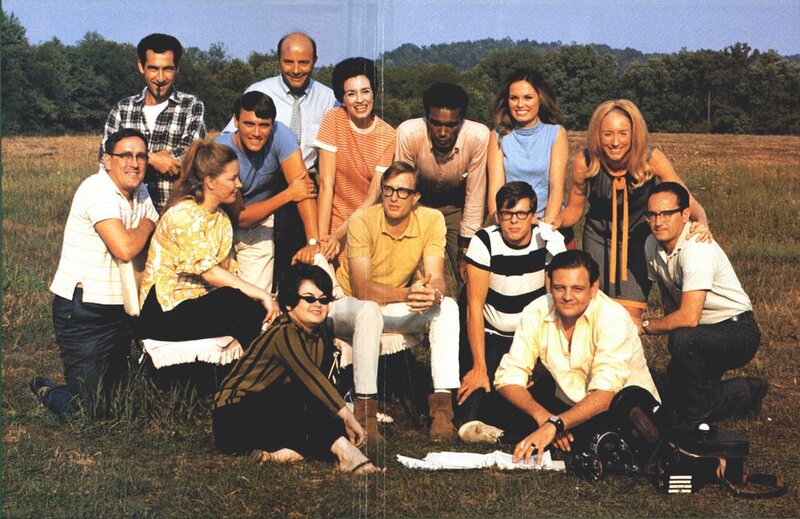 Now that I’ve had a bit of time to reflect on it, I wanted to get some thoughts down on George Romero. How I got into his work, what it’s meant to me & why this hits harder than other Director’s deaths have. I can’t pinpoint the exact moment I got into Horror, but it was a gradual progression from an interest in Science Fiction. I remember taking out Sci-Fi movie books from the library & watching old gems with my Father on Saturday Night at the Movies (Elwy Yost was the Host with the Most), and like most kids, I was into aliens and the idea of life (or afterlife) that we cannot see, but believe in all the same. I always wanted to impress / please my Father with great gifts for his October birthday (Halloween Month FTW), but he hasn’t always been the easiest to shop for (that said, I’ve been on a roll the past few years). 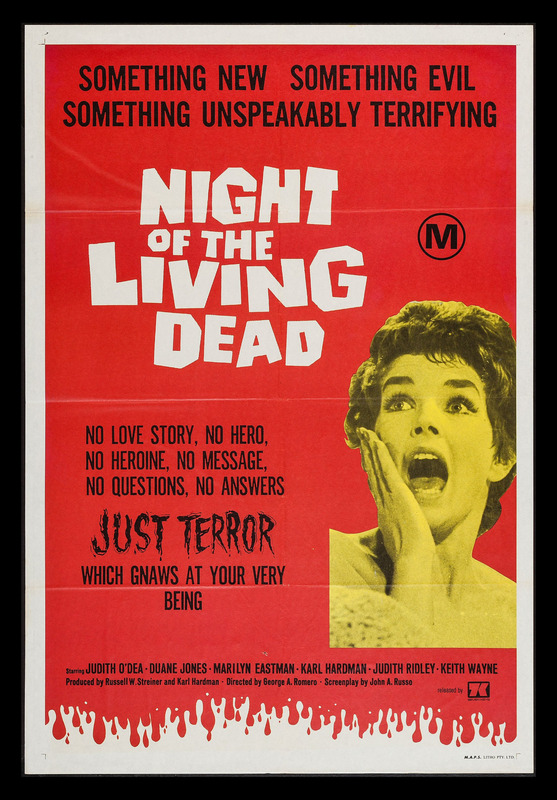 I knew he liked old black and white movies, and we’d enjoyed watching stuff like Bride of Frankenstein & The Creature from the Black Lagoon together, so you can imagine my excitement when I read about a movie called “Night of the Living Dead”. It was apparently a Classic (we always had a Leonard Maltin Movie Guide in the house), it was Old & it was Black and White, how could it fail ?? Having been internally convinced that I’d gotten the perfect gift, you can imagine my delight when Mr. Maltin let me know that there was not only one, but TWO sequels to NOTLD ! I immediately hatched a plan to get him the second film for his next birthday, then to complete the trilogy on the birthday after that. Once again, I tracked down a double VHS (with fold out cover) at Music World (RIP), and I was EXTRA excited to give him his gift that year. When I was growing up, we ran a year round campground / resort in cottage country. The year I gave him DOTD, I was probably around 12 or so. 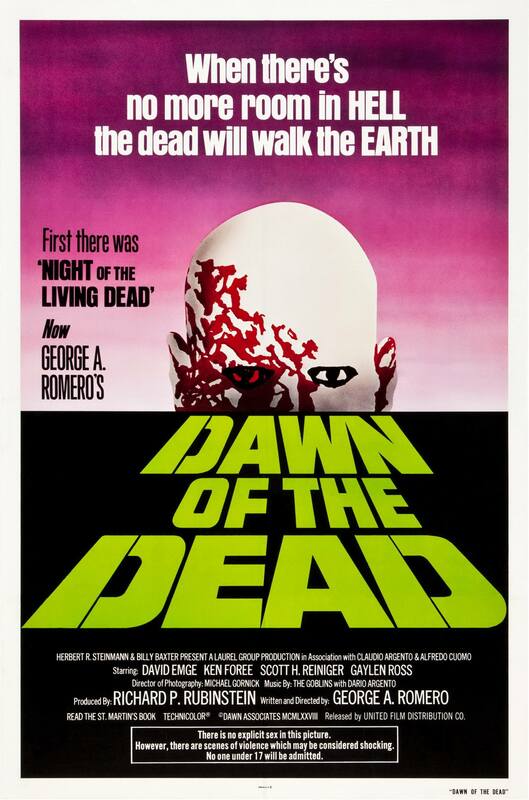 My parents very rarely got to go out for non-family dinners, and since I was finally old enough to look after the place (after close) for a few hours, they left me alone on a cold January night, with my dog … and an unguarded VHS copy of Dawn of the Dead ! After I was sure they were gone, I snaked the movie off the shelf (where it had lived for months) and I got a knife and went to work, slooooowly cutting enough of the plastic that would allow for me to slip the main tape out of the box. I knew what I was doing was wrong, but I’d given him WEEKS to open / watch it with me, and my little heart just couldn’t wait any longer. 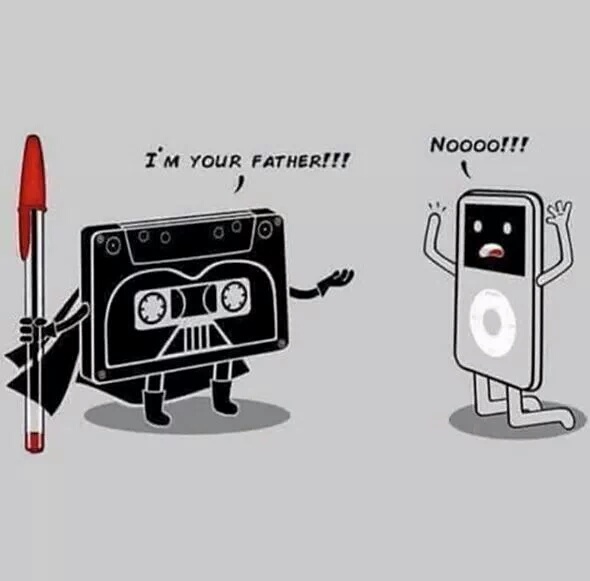 I popped the tape in and let the movie wash over me. That is, until about halfway through, when I heard the unmistakable “crunch, crunch” sound of two people walking through the snow, in our backyard, in the middle of nowhere, with no family members anywhere nearby, and me alone, watching a scary movie, with no curtains drawn on the back window. I sat there, paralyzed, unsure what to do first. They KNEW someone was home, as I hadn’t closed the curtains. But we lived in the middle of nowhere, in the dead (cough) of winter. Who COULD it be ?? I slowly reached for the remote and shut the movie off, then I heard a slow knock on the sliding glass door on our back deck. Still terrified, I walked over to the back room and turned on the porch light. Standing on our deck were two HUGE men, dressed in large winter jackets and staring at me. I knew they wouldn’t just go away, but I had no weapon, apart from a part Lab / part Border Collie named Bart. I reluctantly walked towards the door, unlocked it and slid it open a few inches. It turned out to be two russian men who had walked across the lake, seen our lights, then come to see if we had any liqour for them, to “warm them up”. Thinking quickly (and having seen many PSA’s, thanks Bert and Gert ! ), I told them my Father was in the shower, but that I would go and check with him. My dog was growling the entire time, which was honestly my only consolation for the intense fear of the situation. I closed the door, went to the kitchen and considered my options. I ended up waiting a few minutes, then going back and telling them that my Father doesn’t drink … but that I was pretty sure that the (rival) resort down the road had plenty of alcohol (I’m not proud, but it worked). I closed and locked the door, shut off the light and waited. They didn’t move for a minute, but gradually the “crunch, crunch” of them walking away put me at ease, and 10 minutes later, I resumed the film. In watching that film, I soon came to realize that my Father had NEVER been a fan of Horror, and most likely never knew how to let me down easy. I had been able to slip the tape back into it’s case, and “skillfully” add some scotch tape to the cut area (genius), and shockingly, it NEVER came up. Almost as if he never touched that movie again after setting it up on it’s shelf, where it beckoned to me all those months. 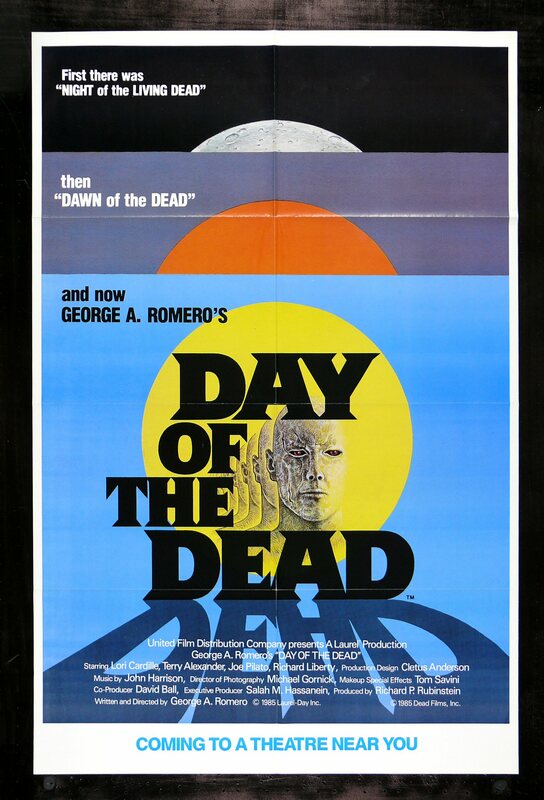 This revelation lead to me purchasing the third film, Day of the Dead, but not for my Father this time … but for myself. 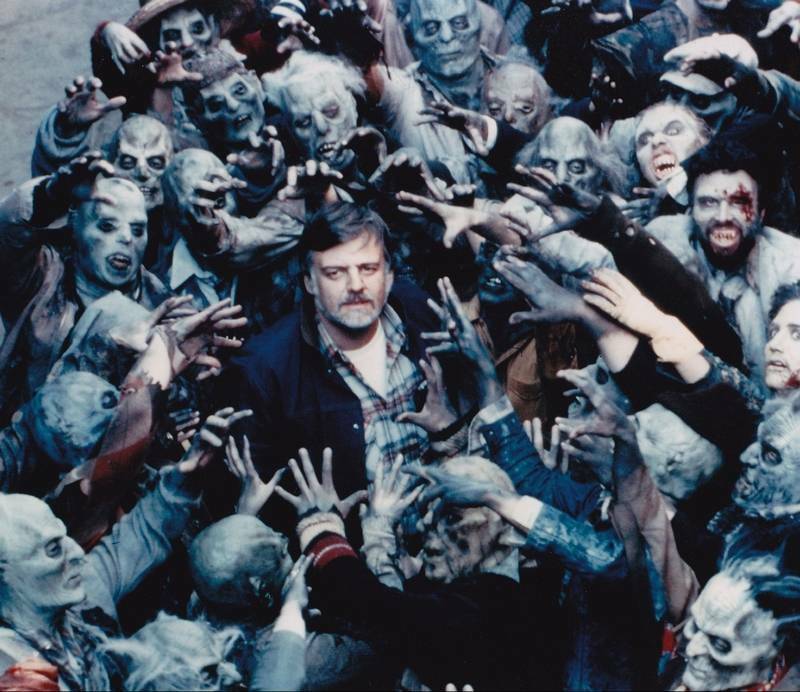 It pleases me that my love of the Father of Zombies will always be linked to my own Father, even if he was never a fan of the man’s films himself. He always respected my love of Horror, even if it’s not a genre he could ever love himself. 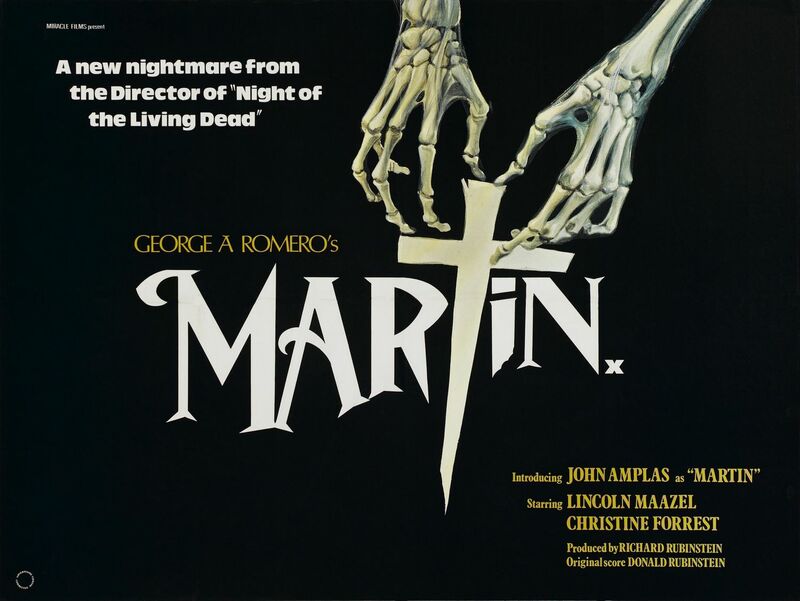 As I grew older and discovered other Romero gems like Martin, Creepshow & The Crazies, I grew to appreciate what an indelible mark he had left on the genre. Not dissimilar to the way my Father had helped shape me into the man that now types these very words. 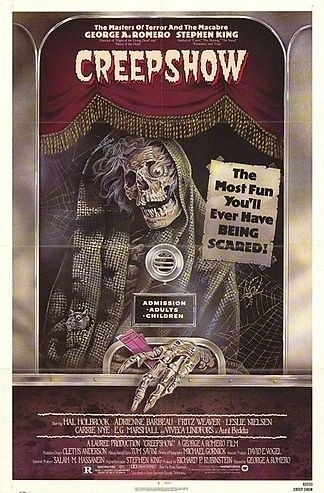 In the years that have passed since that fateful NOTLD gift, I have seen literally countless Horror films, but my absolute favourite is (and always will be) Creepshow. As a huge fan of 50’s Horror Comics, Romero (and King) absolutely nailed the tone, and I love everything about that film. I’m pleased to have seen it on the big screen, though dismayed to say I passed on a chance to see it again on the big screen this year, with Romero in attendance. 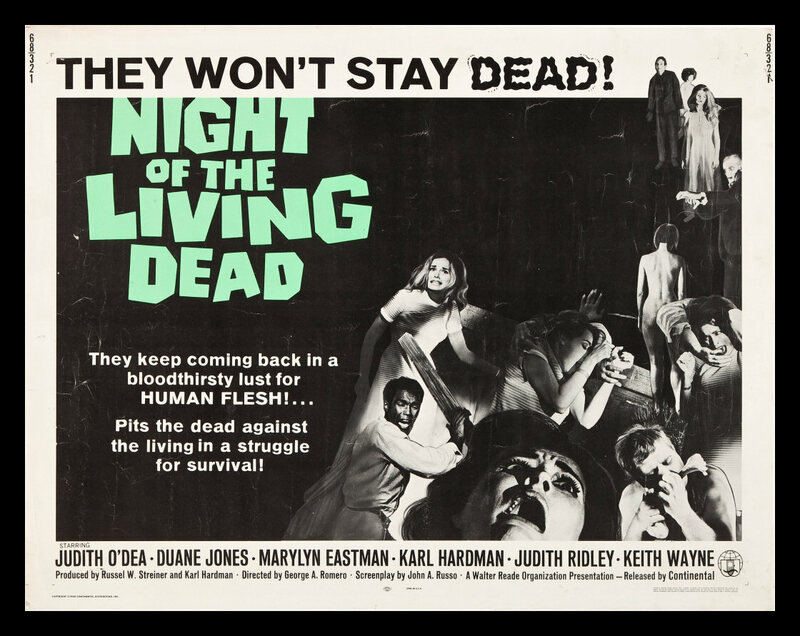 That said, I did see Night of the Living Dead on the big screen for the first time this year, and it was a surreal mix of emotions, almost equal to those I’m experiencing now. 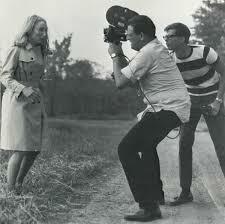 It’s been said of Romero that he was unbelievably kind and humble, grateful to have touched so many souls with an oeuvre that is the envy of the average filmmaker. He shaped a genre that still thrills us today, with ideas and films that will live forever, even if the man himself could not. I’m sad I never got to meet him, but through a love for his films and his spirit, and through the eyes of so many others, I feel like I knew him very well. The outpouring of grief and kind words seen in the past 24 hours is truly inspiring, and speaks well to the imprint left by this man. George was larger than life, larger than the afterlife even. 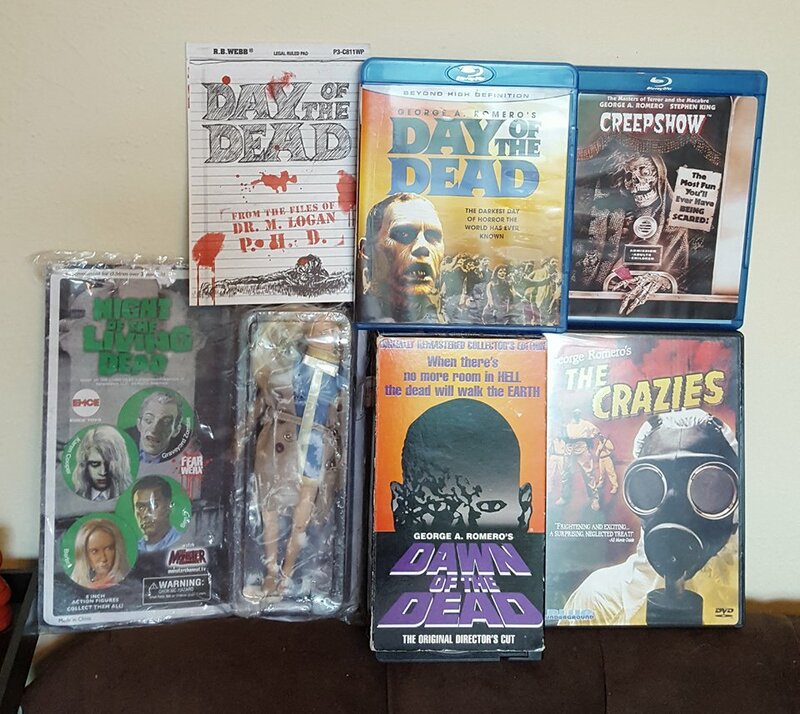 As a fan of the Remakes of NOTLD, DOTD and The Crazies, it’s astounding to me that even re-imaginings of his work can work on different levels, another testament to his genius. While he never got all that was coming to him, financially AND credit wise, his legend will only grow from here on out, and I look forward to remembering the man and his work. 2016, the year everyone loved to hate ! As with most years, there were a few albums that REALLY grabbed and stayed with me, and 2 of them seem to have gone completely under the radar (no better time to check them out !). One of my favourite releases of the year was actually a sort of re-release, albeit with half an albums worth of newly discovered, never released cuts. I really struggled with whether or not I should include it on the main list, but reasoned that I would keep my Top 10 for “New” albums, but spotlight the re-release on its own. I also discovered 3 great TV Soundtracks this year, but again decided to keep them off the main list, as all 3 had so many tracks, I just don’t know how often I’ll revisit them, separate from the shows themselves of course. While my list doesn’t contain some albums that many seemed to love (Beyonce, Kanye, Chance, Solange, Bon Iver, Radiohead, Bowie, Danny Brown, Common, Iggy Pop, De La, etc), none of them really clicked with me personally, as entire albums. Pretty much all of them contained some good stuff, but just didn’t grab me on a consistent enough basis to include them in the list. That said, it pleases me greatly that so much music connected with listeners this year. It’s always a beautiful thing to see, and I always look forward to seeing what worked and didn’t work for people this year. 2017 has a lot of gems on the horizon. I’m personally looking forward to new records from Arctic Monkeys, Nas, Jungle, Electric Guest, Pete Rock & CL Smooth, Royal Blood, Kasabian, The Slew, The Shins, TRDMRK, Alexandra Savior, Noel Gallagher, Queens of the Stone Age & of course, the physical release of RTJ 3. I hope you discovered a lot of new gems this year, and maybe some of my picks will work for you like they did for me ! Happy New Year, and enjoy the list !! Grapefruit were one of the unfortunate 60’s bands that had the chops, songs & opportunity, but just didn’t blow up quickly enough. They were named by John Lennon, and even had a song produced by Lennon & McCartney ! Unfortunately, their original lineup only released one (excellent) album, 1968’s “Around Grapefruit”, before switching their sound towards Hard Rock for their second (and final) album, 1969’s “Deep Water” (which did have some good tracks, but was like a completely different band). 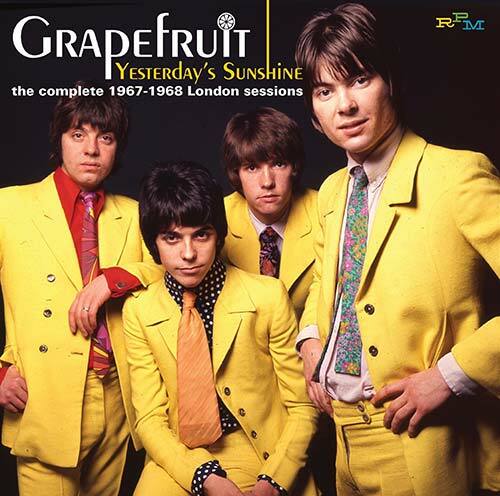 Grapefruit’s principle songwriter, George Alexander (aka Alexander Young) was the brother of both George Young (of The Easybeats) and Malcolm Young (of AC/DC). Despite his connection to rock royalty, Grapefruit’s timing just didn’t work out, and they broke up in late 1969. Their first record was remixed & re-recorded, but the Lennon/McCartney produced track was never released, nor were the original (non remixed) recordings, or a handful of other non-LP tracks. That situation was rectified this year with the (CD and digital only) release of “Yesterday’s Sunshine”. This release really shines a light on what could have been, and in some ways adds to the tragedy of losing a great band too soon, as seen all too often in groups like Honeybus, The Family Tree & The World of Oz, among others. While an LP release would have been outstanding, having these recordings finally see the light of day was a joy to be a part of. I’m pleased to admit I was wrong in my apprehension of Disney taking over Marvel (and Star Wars), much less of partnering with Netflix (a then-unknown factor, original content wise). There was a valid fear that the material would be handled with kid gloves, glossing over any violence or adult themes. Thankfully those fears were unfounded, as evidenced by all 4 seasons of Marvel Netflix TV thus far. They’ve been exactly what they needed to be, and handled with the utmost respect to the source material. 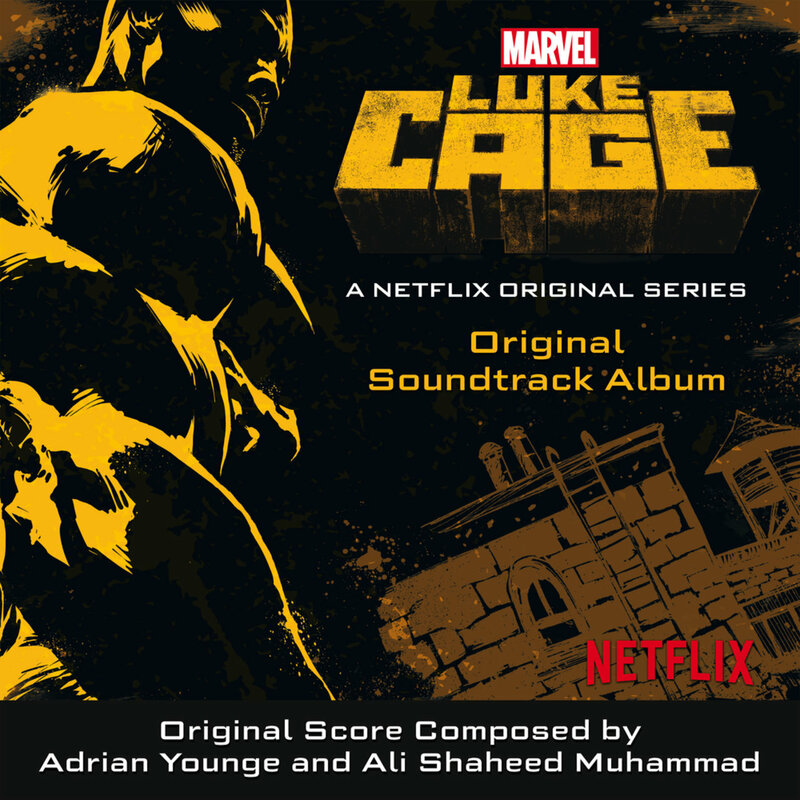 Having just finished Luke Cage, I must admit that I found it to be the lesser of the 4 seasons created for Marvel Netflix so far. This is less a knock on LC and more a praise of Daredevil & Jessica Jones. All 3 shows have their issues, but I found that Luke Cage took the longest to get going, and suffered from some problematic writing and odd choices (or lack thereof). That said, I did enjoy the series, and wouldn’t hesitate to watch a second season (I look forward to the upcoming “The Defenders”, starring JJ, DD, LC & the upcoming Iron Fist). One of the things that worked so well for the show was it’s soundtrack. Roping in a legend in Ali Shaheed Muhammad, partnered with a modern gem like Adrian Younge was a bold and clever decision. Ironically, both producers were contacted separately, without the knowledge that they had just recorded an album together in secret ! Sometimes these things just have a way of working out. Using the club setting to have an array of musical performers was a smart choice. Coupling that with a 90’s throwback feel, the music ended up working better than some of the writing on the show itself ! More Netflix love, more “It was good, but …” ! Stranger Things took the world by storm and became the Must See TV of that month. While I wasn’t head over heels, lose your mind in love with the show, it did maintain my interest throughout. I have a lot of respect for the filmmakers, they really came out of nowhere with this love letter to the 80’s, an era I reluctantly admit to being born in. In some ways I was reminded of what Tarantino has done with his work, a veritable “Best Of”, influences wise. Certainly not a knock on the show, as I think it achieved exactly what it set out to do. 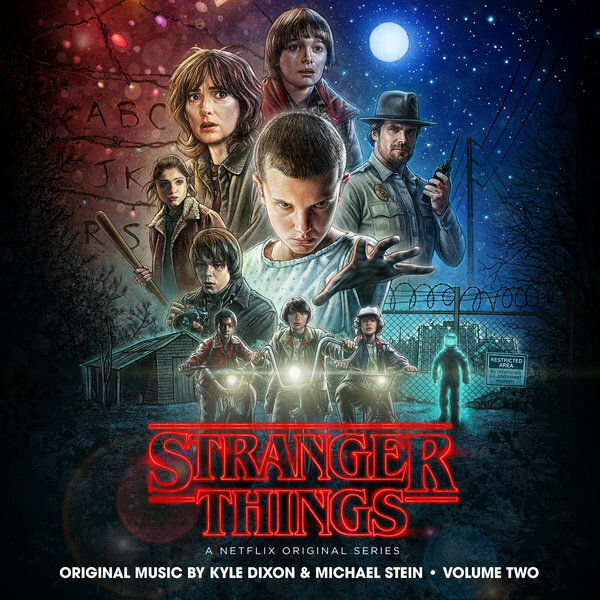 Much like with Luke Cage, Stranger Things has such an enormous amount of tracks (75 in total), I just didn’t feel that I would revisit it enough to justify a place on my Top 10. It’s great in doses, and I love that public demand lead to an LP release, as well as a second season (and presumably more music to come with it). This score has a definite feel, and it’s pretty special that they were able to capture it so long after the era it emulates. 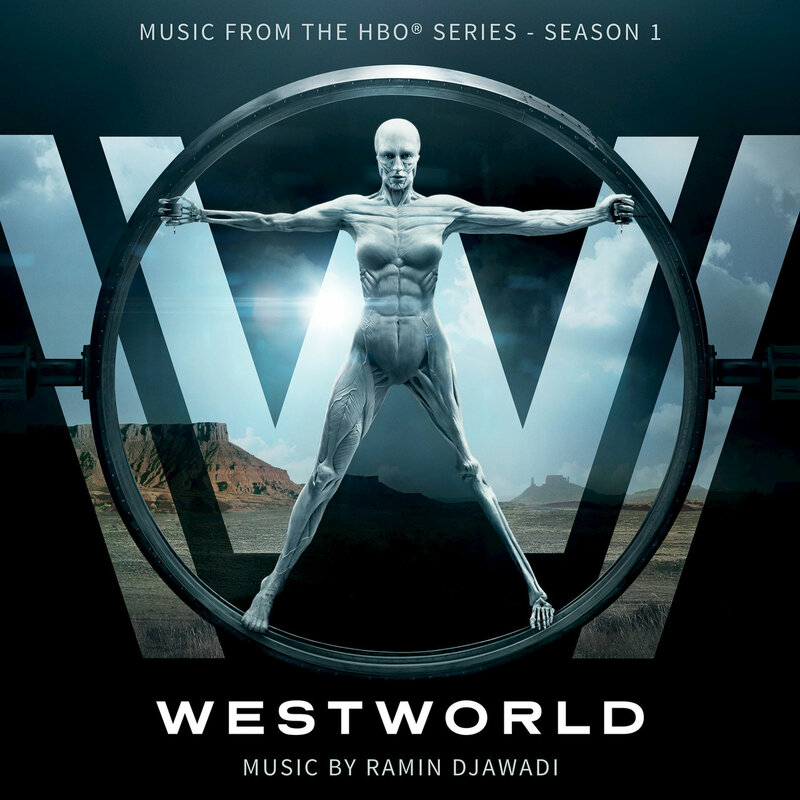 Speaking of shows that took the (west) world by storm & were intrinsically linked to their scores, Westworld was another brain melter that gave just as much as it needed to, while making us wait 2 years for a follow up season (and score). Being set partially in a saloon, barroom piano music was integral to the shows DNA. The idea of including modern music, albeit in ragtime style, was brilliant and worked perfectly with the shows esthetic. I was reminded at times of another HBO show with an excellent, piano driven score – The Leftovers. Both shows use their themes (piano and otherwise) to great effect, both rely on an extremely dramatic undercurrent, broken up with very occasional levity. As The Leftovers gears up for its third and final season, at least we’ll have Westworld to continue providing us with our delightful, piano-riffic score fix. While Westworld did have far less tracks than Stranger Things and Luke Cage, I still wasn’t convinced that it would receive a ton of play from me over the years, as a complete album. While there are a handful of tracks that I loved and will absolutely revisit, it JUST missed the final 10 cut. Still, it’s well worth a listen. I must confess, I was not the biggest fan of the first Last Shadow Puppets LP. As a huge Alex Turner fan, I was really excited to check out a non-Arctic Monkeys collaboration. Unfortunately, I found the first record to be a bit lost under its orchestration, some good efforts, but overall a bit aimless and overblown. The tools and skills were all there, but it was quite a disappointment after the excellence of Arctic Monkeys. Luckily, LSP have honed their collaboration on this sophomore effort, bringing everything they do well and crafting some quality tracks in the process. 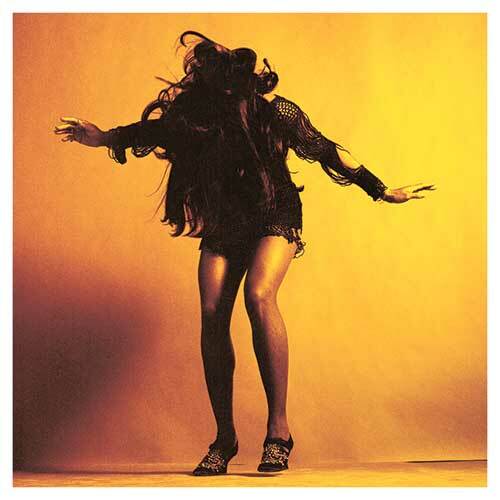 While I can’t say that this is on the level of Arctic Monkeys’ output, it was never meant to be. As a side project between two friends and fellow musicians, it’s a very pleasing release. 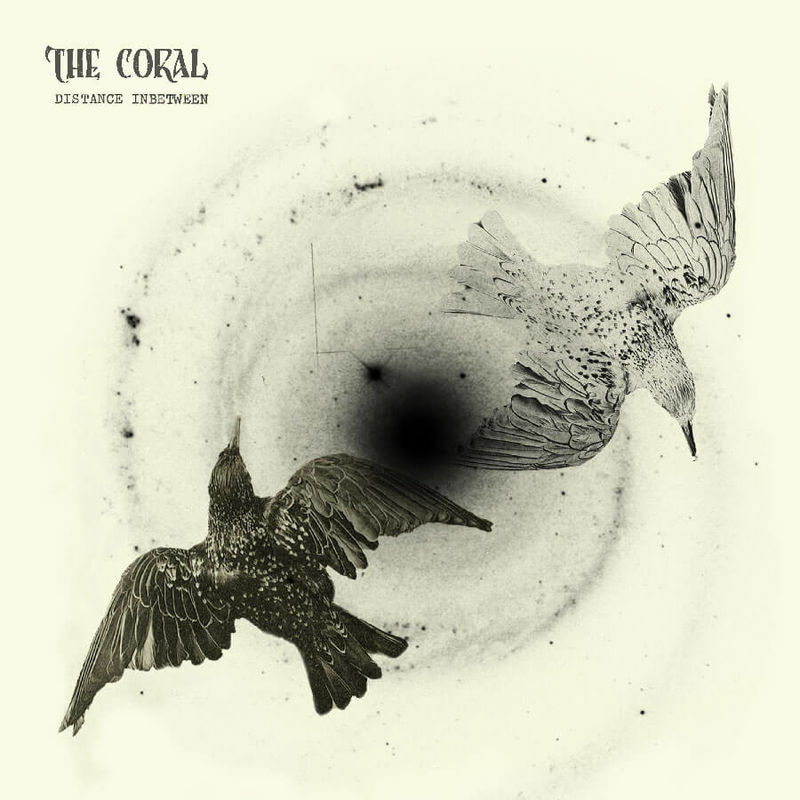 I must confess, I have been a massive fan of The Coral for quite some time. Their first single, “Dreaming of You”, was an instant classic, although it took my awhile to warm up to the first record itself. It wasn’t until the first single from their sophomore release, “Pass It On”, that I went back and was blown away by the first LP. The early 2000’s were a magical time for that style of 60’s throwback rock. The Coral & The Zutons were probably my two favourites, but so many bands came out of that time, thanks to the sound The Coral brought to the fore. Unfortunately, breaking into the US market wasn’t really in the cards. I was lucky enough to see them (and later The Zutons) in Toronto around 2003, but the place was only about half full. As each record passed, they transitioned to more of an acoustic, A/C style that was of less interest to me. In some ways I felt like Arctic Monkeys picked up where they left off, but I’d always hoped The Coral would return to their rock roots. Luckily, they did ! While “Distance Inbetween” isn’t perfect, it’s most definitely a return to form, and a gift to fans who stuck it out all these years. In some ways, I kind of view Czarface as an alternate universe Run the Jewels. Both groups have just released their third record, both have a white rapper and a black rapper who was previously in a classic hip hop group & both are able to be geeky at times while still maintaining an edge. Plus, ridiculous production, you gotta have that. Unlike RTJ though, Czarface has kind of stayed below the radar, well known to hip hop heads, but yet to achieve the universal acclaim enjoyed by RTJ. 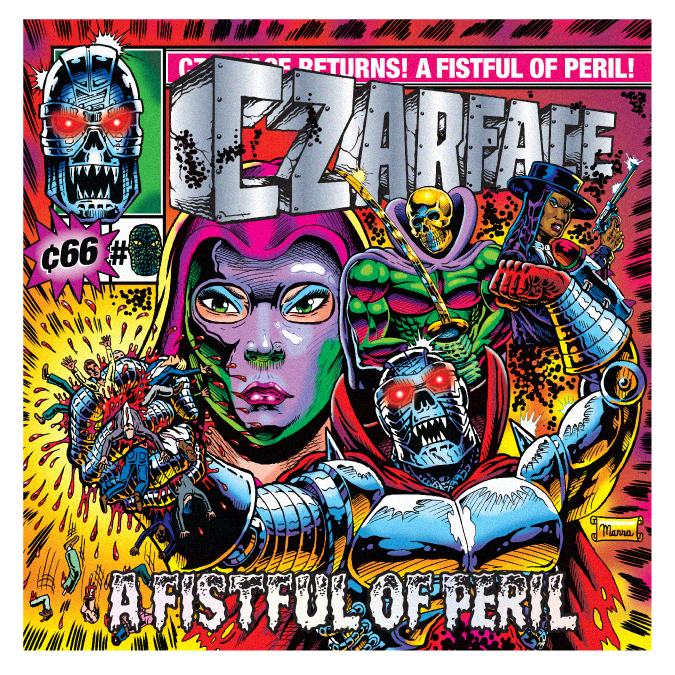 With that said, Czarface have brought the heat yet again, proving that their chemistry and artistry is no fluke. Their devotion to a comic cover aesthetic is admirable, and enviable, a perfect fit for the multitude of comic references littered throughout. Ironically, Run the Jewels did a series of comic book covers for Marvel last year, something that probably made Czarface more envious than any other accolade RTJ has amassed. Still, all comparisons aside, as listeners WE are the real winners, getting to enjoy both albums before the dawn of 2017. By all accounts, this is a record that should not even exist. Up until this year, and especially with the untimely death of Phife Dawg, it seemed that Tribe’s legacy would end with the uneven “The Love Movement”. 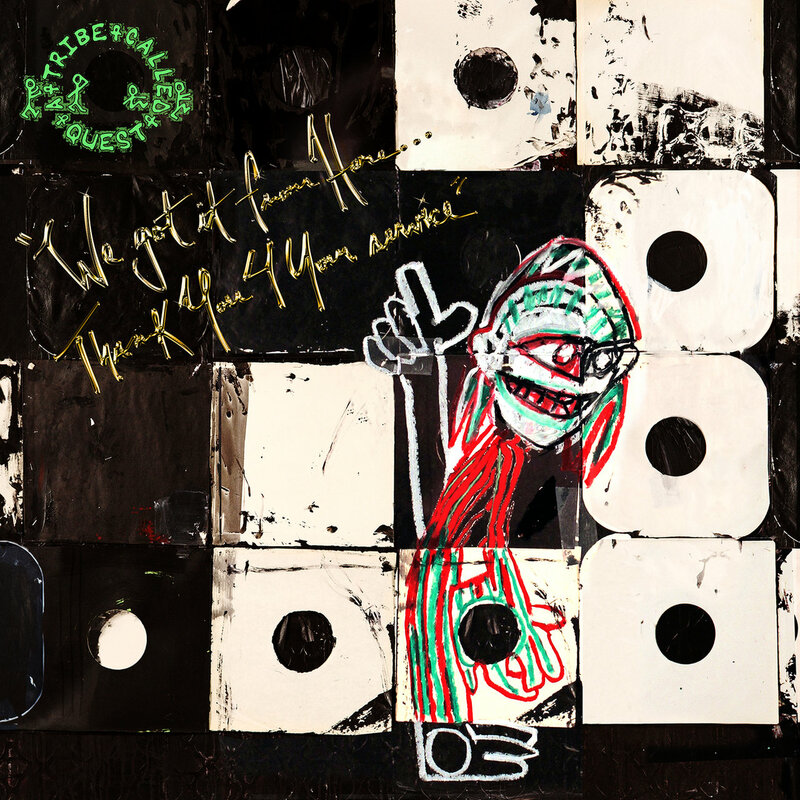 Of course, regardless of that, ATCQ would have gone out with no less than 3 Classics (depending on who you ask), which is more than most groups can say in their lifetime. That said, we were blessed with a final record, made in secret & unleashed when nobody was expecting it. The problem was, could it possibly EVER live up to the hype and legacy ? Well … no. Much like a new Beatles album, there’s simply no way to please millions of fans, many who had been following the group from their onset. Luckily, it really only needed to be better than TLM, and it certainly was ! As a 2016 Hip Hop release, Tribe delivered. As a late period addition to their catalogue, Tribe delivered. As an Instant Classic that will stand the test of time next to their other gems ? Well … just enjoy it for what it is. Speaking of lengthy waits between records, how about 16 years between first and second albums ? True, Tribe went 18 years, but that was after a breakup and 5 albums ! 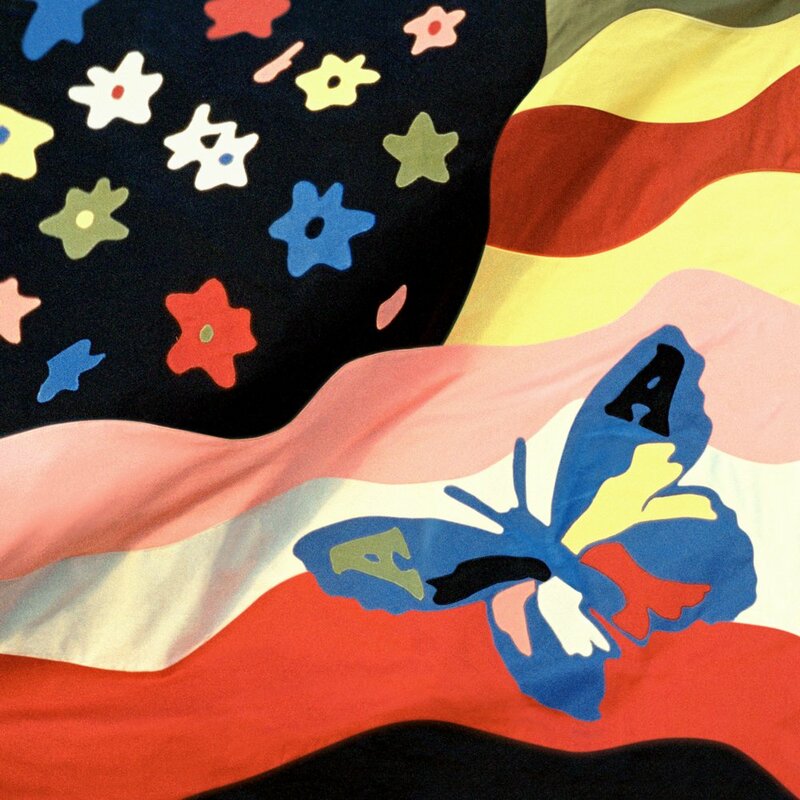 It was starting to look like we would never see a follow up from The Avalanches, and the pressure was intense, considering how lauded their debut was. Amidst health issues and throwing out albums to start from scratch, 2016 was finally the year we got to hear another transmission from the top of the mountain. But was it worth the wait ? Well … again, I suppose that depends on what type of listener you are. Their debut, “Since I Left You”, is on such a pedestal, it’s almost impossible to top or equal (for most diehards). It’s a situation many electronic artists struggle with, from RJD2, DJ Shadow, Fingathing, Portishead, Tricky and onward. Thankfully, “Wildflower” meshes very well, and rewards repeat listens. Its release also spurned a re-pressing of their debut, so if you end up hating this one, you can finally afford a copy of the other one ! 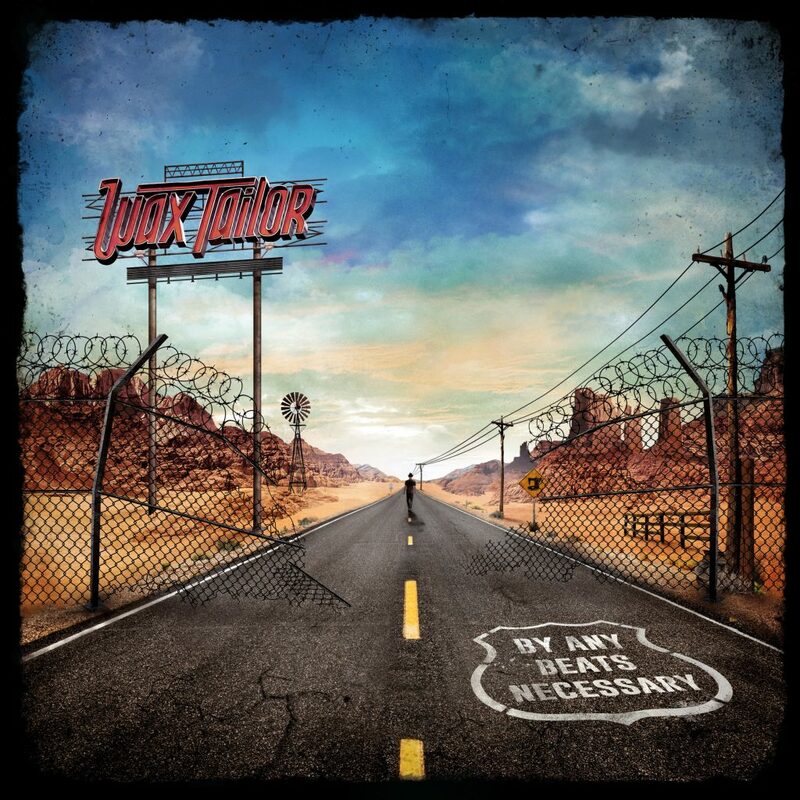 Wax Tailor is sorely underappreciated, and virtually unknown in many places. I actually wasn’t too familiar with his work until about 2 years ago, but better late than never ! While I find some of his LP’s a bit uneven, “In the Mood for Life” really blew me away (and is highly recommended). Still, that record came out 7 years ago, and with any artist (much less a DJ or Producer) there is always the chance that the magic is lost, or at least, not consistent enough to carry an entire album. Luckily, WT has delivered an enjoyable, partly Blues-based effort that flows nicely and doesn’t sound derivative of his earlier material. I can’t say that it reaches the heights of “In the Mood for Life”, but it does have elements of that release, as well as his other projects. Last year he released a live, orchestral backed album which was essentially a Best Of. That release dovetails nicely into this one, and both are certainly worth a listen. Well, if you’d told me that a 2016 Weezer album would crack my Top 10 list (much less Top 5), I’d have said you were a piece of human garbage for spreading such lies. Yet, here we are ! Sorry for the cruel remark. Anyway, like most people, I really dug the first 2-ish Weezer records, then tuned out entirely for several (horrific sounding) albums. I felt no real urge to listen to them, neither their old OR new material. That said, I started hearing rumbles that this was a pretty solid return to form, then I found the whole thing on youtube anyway, so why not gamble with 30 minutes for an old favourite ? As it turns out, the rumours were true. This is easily Weezers best front to back album since Pinkerton (which in some ways isn’t saying much, but is actually pretty astounding if you think about it). 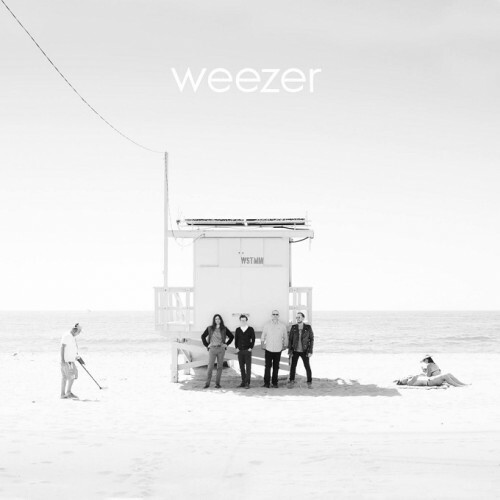 The way I describe it is, if you EVER liked Weezer, you’ll find something to love about this album (perhaps all of it). 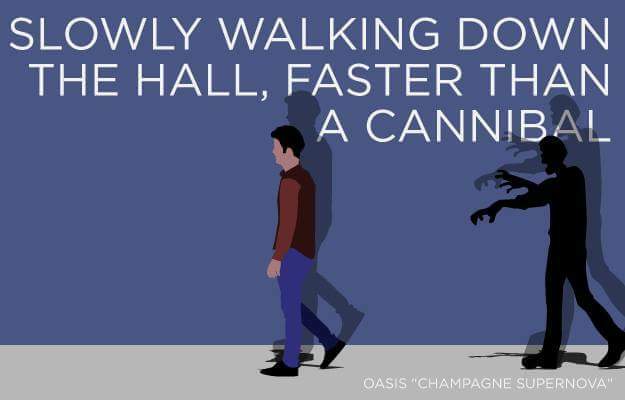 It would certainly be easy to dismiss, and many who haven’t heard it (or Weezer in years) will sneer and ignore it. It is what it is, but what it is may be of interest to you. 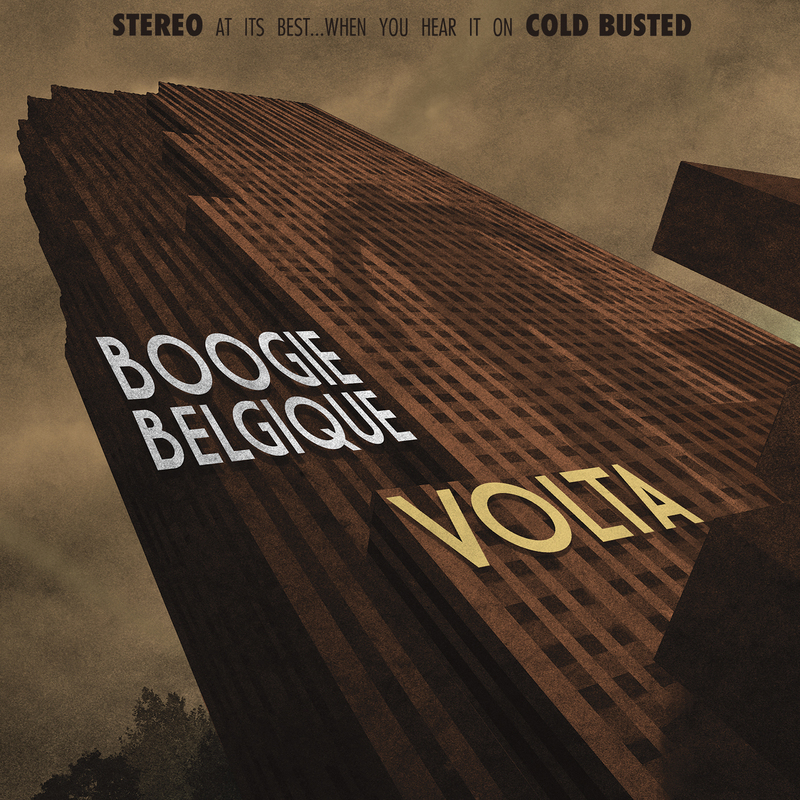 Speaking of underrated producers, Boogie Belgique is another who has released several excellent albums, but remained relatively obscure in most non-European places. BB’s style is largely Electro Swing based, meaning he combines old jazz tunes with new electro beats to make catchy and timeless new tunes (ideally). I was a bit concerned for this album, as his last 2 haven’t been front to back perfect, but I was still excited enough to pre-order it. Luckily, BB stuck the landing and delivered arguably his most accomplished album to date. It draws on elements of his previous records, but feels BIGGER, especially production wise. I still worry that he may have reached his peak (especially if this doesn’t land), but this is one of the best records of the year. I truly hope it reaches as many ears as possible. Well, they’ve done it again. 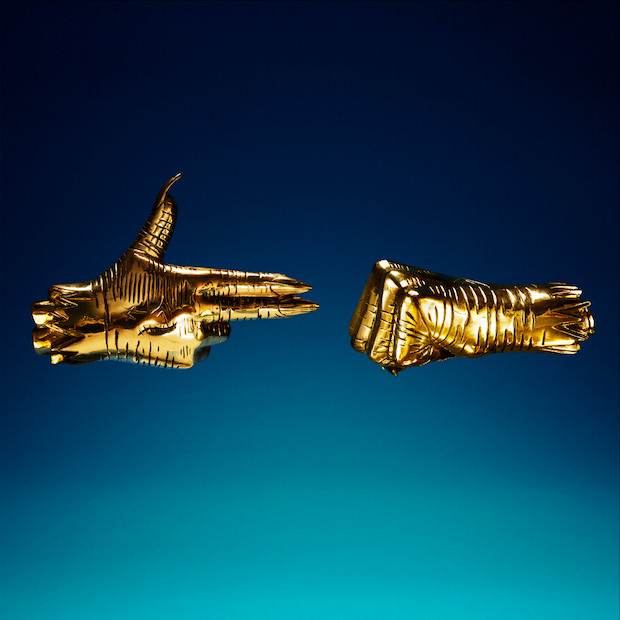 This time they shocked us all by dropping RTJ3 on Christmas Day, for free. Another astounding move by a group that has done so much in such a small amount of time. For Hip Hop fans, this was one of (if not the) most highly anticipated releases of the year. I have to admit, I was a bit disappointment when they moved the release to January, but anything worth having is worth waiting for (plus, I didn’t really have a choice either way). Last (first?) but not least, another underrated band who will likely miss out on most End of Year lists. I had the great fortune of seeing La Femme in Montreal this year, and it was a fantastic experience (muddy sound mixing notwithstanding). Their first record, “Psycho Tropical Berlin” was another under the radar release, finishing 2nd on my Top 10 that year, second only to Arctic Monkeys’ stellar “AM”. It didn’t seem right to bump LF again, so here they are, alone at the top ! Now, of course, this won’t be for everybody. 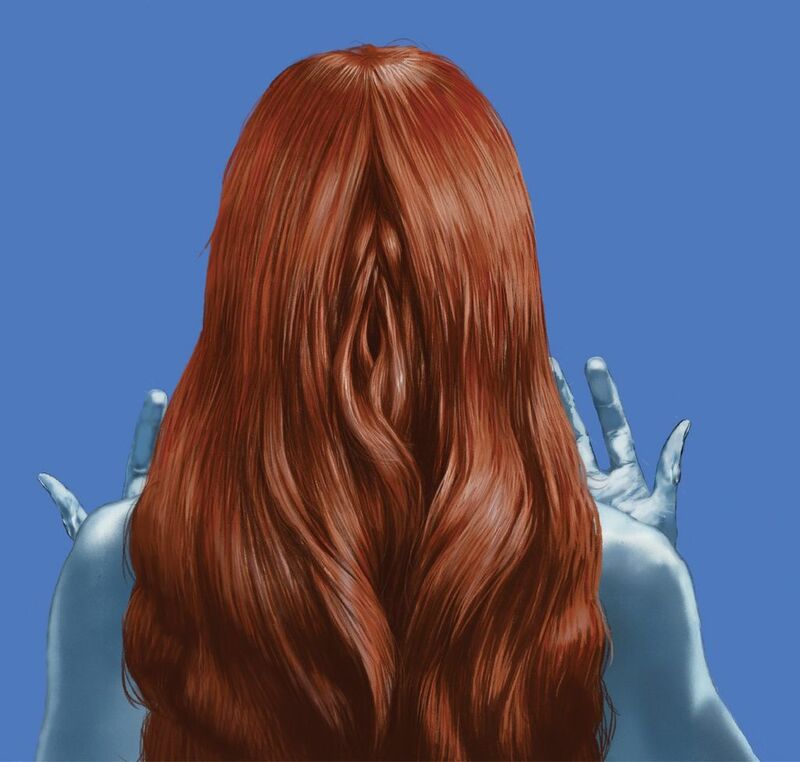 I know that some people just don’t care to listen to non-English music, and I must confess that La Femme are the only french band I listen to. That said, they make an eclectic and appealing blend of Dreamy Pop, with Rock, Rap and even Dance elements at times. Kind of a mix between Serge Gainsbourg, Portishead, Radiohead, Phantogram & Sigur Ros ? Maybe ? All that really matters is, they write great tunes, put on a great show & have released 2 highly enjoyable albums. Check them out, it just might be up your alley ! And that is that ! Hope you guys dug the list, and that maybe some of it works its way into your ears ! Have a great year, and keep the music coming ! Greetings All !! It’s my favourite time of year again, the month everyone watches Horror films as often as I do throughout the other 11 months ! As you probably know, I like to pick 31 Horror films to watch in October, generally stuff I’ve been wanting to see, but haven’t been able to get to till now. Various recommendations from Friends or Websites, boiled down to a concise 31 ! This year features some real gems, including 3 I’ll be seeing theatrically, thanks to the Mayfair Theatre (Phantasm, Phantasm 5, I Drink Your Blood), 2 that were meant to come out next year (In the Deep, The Blackcoats Daughter) & 1 mashup of 2 films that I cut together for fun, since both films took place on the same night anyway (Halloween I+II). In addition, 4 of these selections will actually be 2 Double Bills, as I have a weekly Double Bill event with Friends (we alternate selections week by week) and had to plan around that. 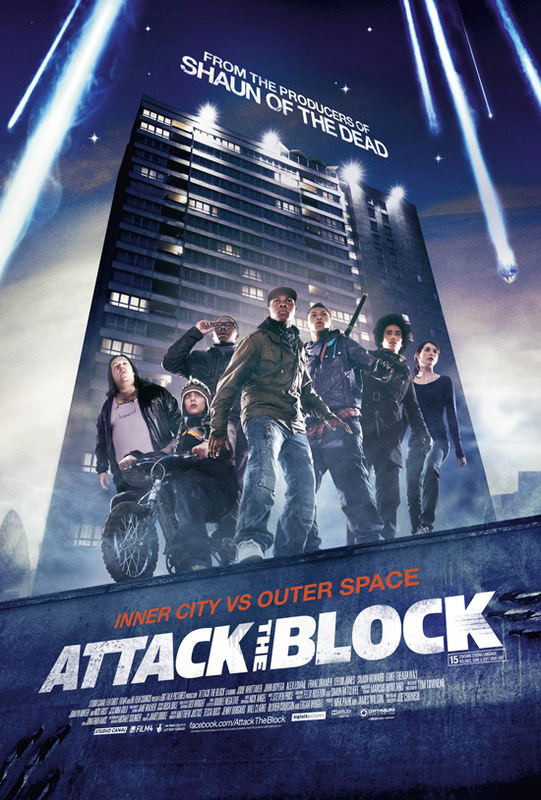 We’ve also got a Prequel to a Classic (The Thing), a Remake of a Classic (Carnival of Souls), a Sequel to a Cult Classic (Stake Land 2), the Final Chapter of a popular Franchise (REC 4), a Sequel to a Smash Hit (The Conjuring 2), the Original of a film that lead to 3 American Versions (Pulse) & the First Film by the creators of Stranger Things (Hidden). This year has a lot more Modern films than usual (23 of 31 are from 2013 onward, only 7 are pre-2000) which should please my wife, as she is NOT the biggest fan of old school, low budget schlock (understandably so). I’ll do my best to upload daily reviews as I go, but you know what they say about the Best Laid Plans. Anyway, watch along with me (or don’t), be inspired (or don’t) & have an awesome October (required) !! It’s the night before the biggest game in Raptors history, and I’m surprisingly at peace. It’s not often you can trace the hopes and dreams of a franchise down to one game, but we can, and this is it. If Toronto can win at home tomorrow, it will be the first 7 game series they’ve ever won, and only the second first round series victory in their history. Although their regular season record has improved four years in a row, the past 3 playoff outings have resulted in heartache, including the inability to close out this series against Indiana. This year was supposed to be different. We learned from past mistakes, shored up our roster with 7 new faces & set a team record 56 wins, en route to a second place finish in the East (fourth best record over all). It appeared we were lucky enough to play an opponent we were much deeper than, an Indiana team with a star, but not a deep roster. Now that we stand on the precipice of Game 7, it seems obvious we underrated the Pacers. Shades of Game 7 against Brooklyn three years ago flutter to mind. Another situation we were sure to come out of, but alas, a final second block dashed our hopes yet again. One can be thankful for a chance to win it tomorrow, since last years playoffs ended without even a single win for Toronto (though I was happy to attend one of the games regardless). For me, there remains a sort of Schrodinger’s Cat mentality tonight. This time tomorrow, I’ll either be delirious with happiness or crushed with yet another harsh ending to a brilliant season. For now, anything can happen, anyone can win. This is the deepest lineup we’ve ever had, and this team truly deserves a shot to continue in these playoffs. Throughout this series, the Raptors have demonstrated a real Jekyll & Hyde mentality, never able to put the series away, never knowing which Raptors team would show up. I’m still proud of how far they’ve come, and very excited about the future of this franchise, no matter what happens. That said, nothing would mean more to the fans, the franchise and the country than to see our Raptors finish things off right, in front of a sold out home crowd & a prime-time TV audience. Regardless of what happens tomorrow night, I’m proud of this team, and excited for the future. 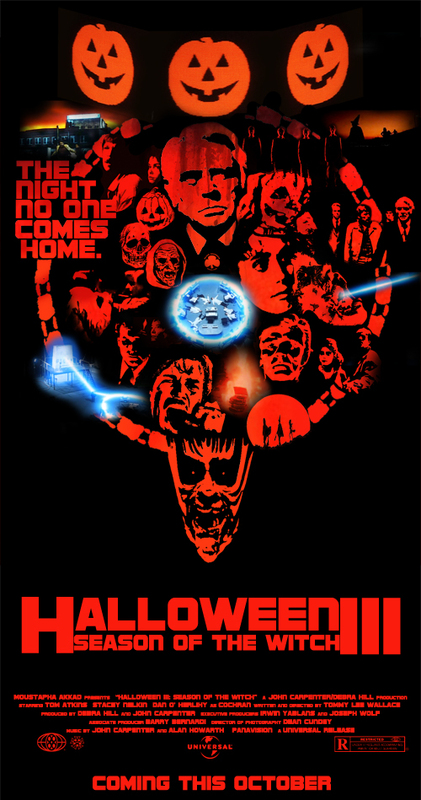 Lazron’s 2015 October Horrorthon ! Well, it’s that time of year again ! The month that everyone ELSE watches as many Horror movies as I usually do every other month. It’s a wonderful time of year for many other reasons too. The changing of the leaves, Pumpkin flavoured things (mainly beer), Crisp temperatures, Halloween, etc. Some would argue it’s the best time of the year, leading up the best holiday of the year ! But most wouldn’t. Anyway, I wanted to do my October Horrorthon a bit differently this year. Generally I pick 31 movies I’ve been meaning to see but have yet to get around to. There are still tons of those, but I’ve also amassed a pretty great collection of DVD’s & Blu Rays … Which have then never been watched. Coupled with that, my wife & I celebrated out first year of marriage a few months ago and I wanted to get her a bit more involved with things. She’s also a Horror fan, but not so much pre-90’s or low budget (or black & white, or foreign). Many people aren’t, and she has many other wonderful traits, so it’s perfectly reasonable & to be expected. She has a pretty good track record of liking really good Horror flicks though (It Follows, Starry Eyes, The Descent, Triangle, Cheap Thrills, Oculus, Big Bad Wolves, Ginger Snaps), so it’s not like she doesn’t know what’s up. 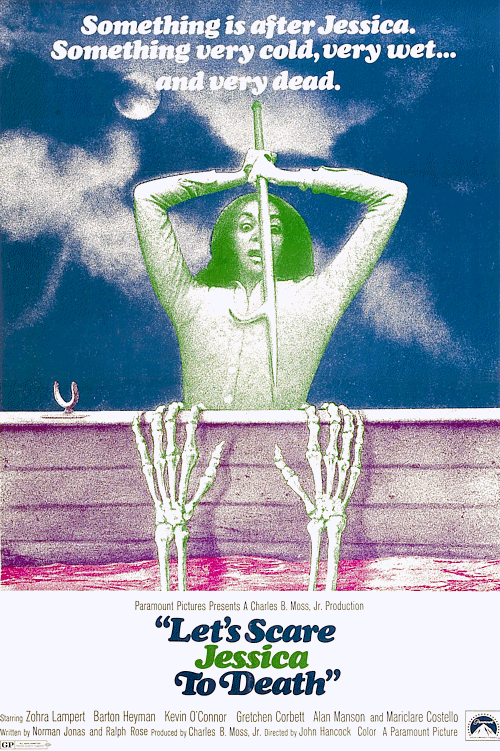 Anyway, it occurred to me that I could combine my urge to re-watch movies I’ve bought (and never re-watched) AND my urge to expose her to great Horror she has yet to see, so I went with a half-half. 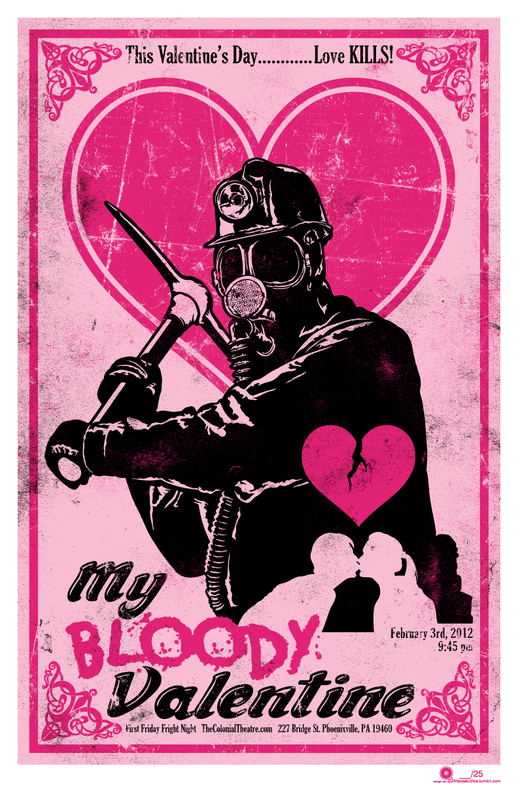 15 of my selections will be stellar Horror hand-picked by me in the hopes that she’ll also dig them. 12 others will be ones I’ve seen/bought but not revisited. As a FURTHER compromise (to myself basically) the remaining 3 will be NEW/acclaimed Horror that neither of us has seen. 1 will even be in theaters ! Horrific Date Night !! Anyway, the final selections are listed below, for your judgement/approval/hatred. Odd numbers are for Her, even numbers are for Me, though some of my selections could have made Her list as well, so we’ll see if I can rope her into more than 16 viewings. This year is a bit unorthodox, but I think I killed it. Cough. Classic movie, and one I’m shocked wasn’t in my collection (especially since I own “Roman”. Who has “Roman” & NOT “May” ??). Easily one of the best Horror films in the past 20 years, with masterful acting & directing by McKee & Bettis. Stoked to re-watch it. I’ve been hearing great things about this festival darling & have had the calendar circled for weeks in anticipation (the calendar is metaphorical, I’ve circled nothing). Word is there are many laughs & much violence to be had. Colour me intrigued ! Some could argue it’s more of a Sci-Fi than a Horror, but it’s pretty damn horrific to me. Despite that, it’s just an all around great film, and one I’ve not seen a second time (despite my vocabulary adoption of “Bruv” and “Fam”). Here’s hoping it still holds up. I’m also looking forward to re-watching John Boyega, now that we know he’ll be a major part of the Star Wars series in 2 short months ! It was great to see MGM finally give this the DVD release it deserved many years ago, but even better to see Scream Factory give it some extras & an HD transfer. A somewhat uneven film (as I recall), but spectacular scarecrow effects & unnerving tension throughout makes this a worthwhile choice. 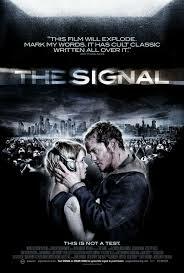 This seemed to be an Under the Radar flick for most, which is a shame because it’s quite good. 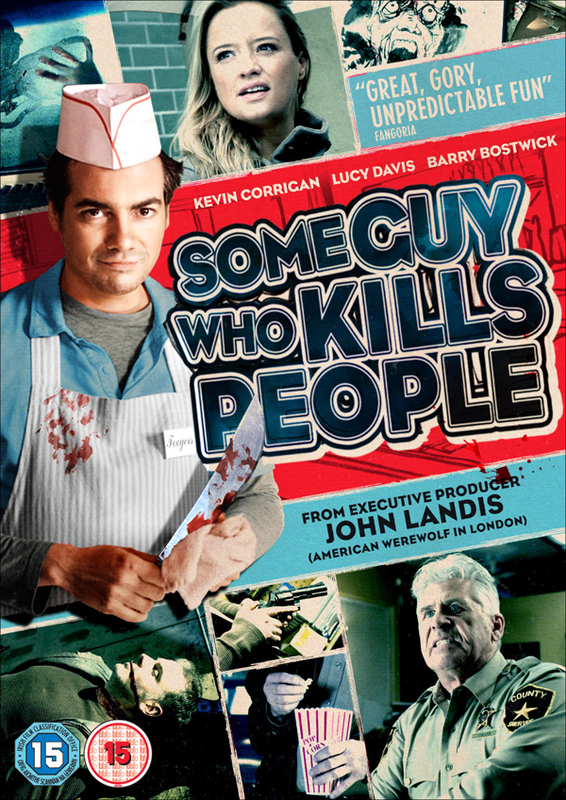 Treading more along the lines of comedy, it’s not without its bloody kills as well. He acting is too notch, and the mystery & laughs (especially the interaction between the main character and his daughter) kept me involved throughout my first viewing. Now HERE’S a movie begging for an extras-packed HD release. A suitably oddball UK alien horror with an unforgettable “Woman giving birth to grown man” scene, I’m really excited to dust off this old chestnut. One I’ve not seen since my Video Store days (and probably shouldn’t have seen then, but I’ll take it). 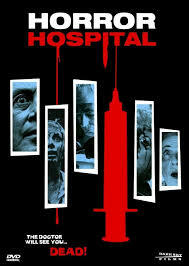 In my opinion this is easily Argento’s best film (sorry “Juno”, I mean “Suspiria” fans). I’ve actually only seen it once, but it left such an impression on me over the years. 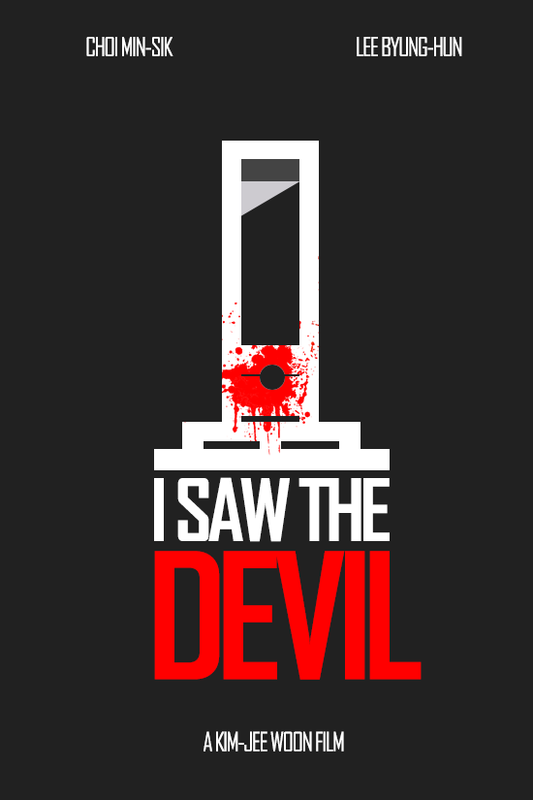 I was really more of a Fulci fan for a long time, but as I got older & re-visited the works of both directors, it was really more like comparing Tarantino to Roth (or Bay to Scott, whatever you like). Hopefully my wife can get past the year it was made & the language it was shot in, but I’ll take the risk ! TECHNICALLY I should refer to this by it’s original title of “From a Whisper to a Scream” (especially since I’m a real stickler for using original titles for albums & films). That said, I originally found/saw this as “The Offspring”, and later became a big fan of the band by that name (though I can’t defend all of their later material). 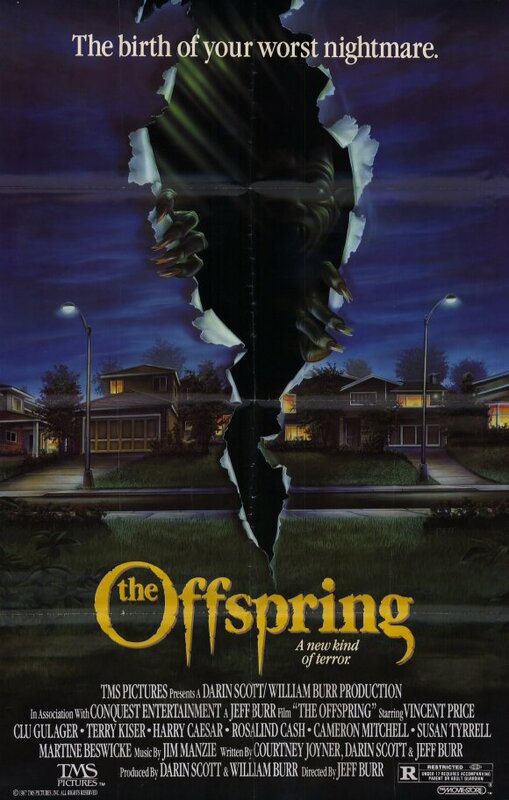 I was overjoyed to see a reversible cover on the Scream Factory release, making “The Offspring” live forever on my movie wall. This is an extremely overlooked Anthology flick, featuring the last Horror role of Vincent Price (assuming we’re not counting “Dead Heat” or “Edward Scissorhands”, because come on). 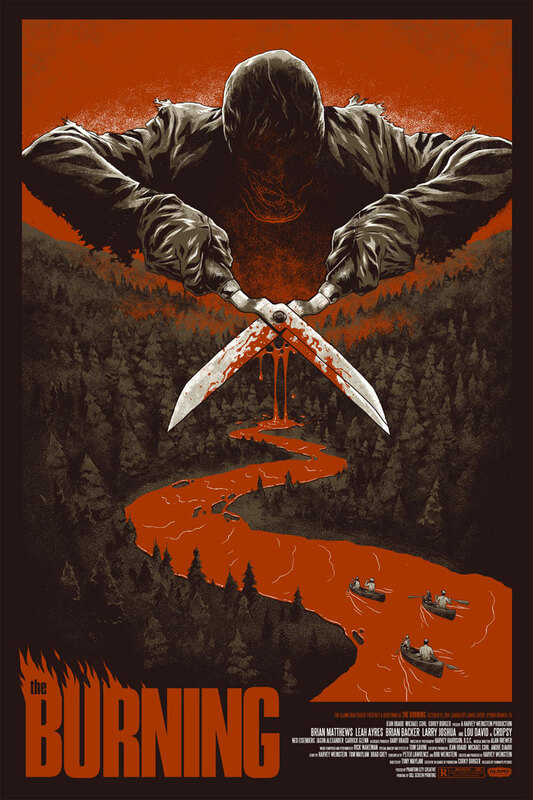 Easily one of the better, and most overlooked, Horror remakes. 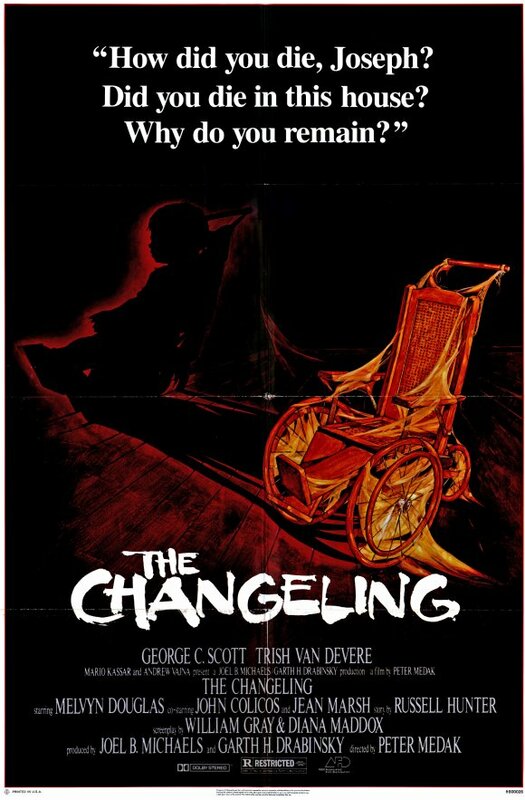 A rare case of a remake improving upon the original (depending on when you were born & what you look for in Horror I suppose). 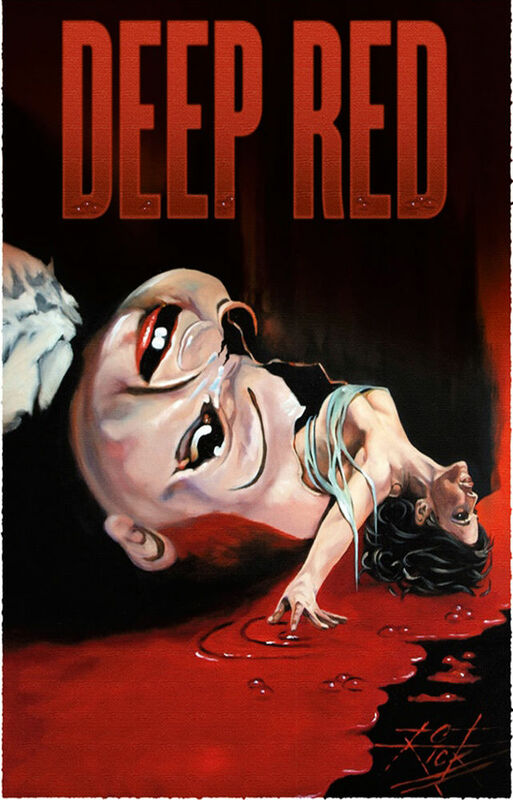 Incredible practical FX, solid plot, a pre-“Saw” Shawnee Smith & an excellent ending all combine to make this almost a most classic, except among those who’ve sung its praises for years. 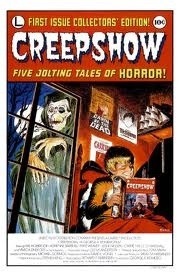 This would make a great double bill with “Night of the Creeps”, though NOTC barely missed the cut on this years list. It may have to wait till next year to thrill me. A late addition to the list, but one I’ve been meaning to get to since acquiring the DVD years ago. 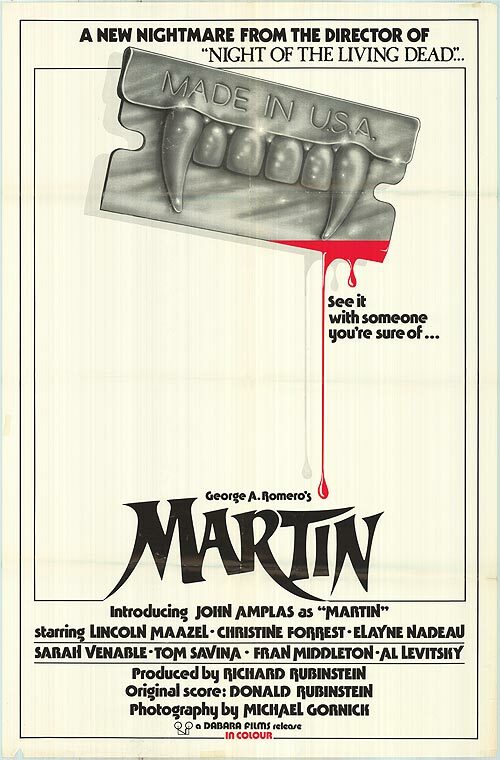 Arguably the best Gator-Horror flick ever made (honestly, it’s a short list. “Eaten Alive” ? “Rogue” ? 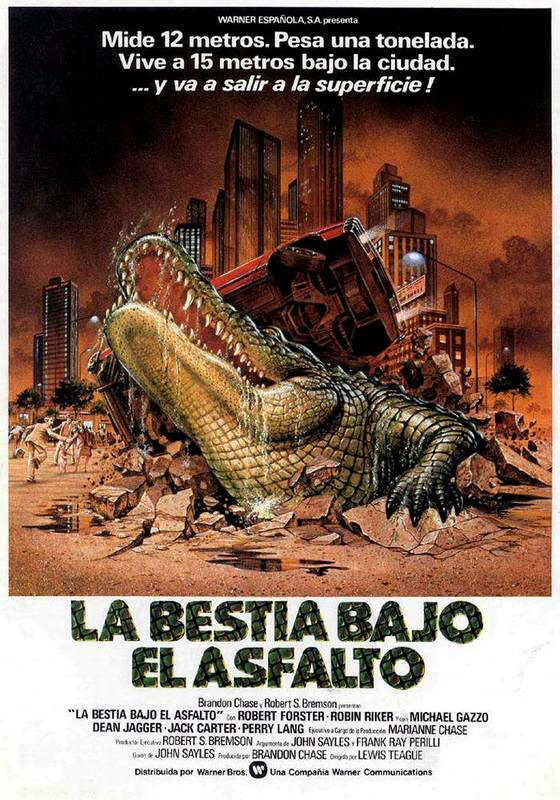 ), and possibly the greatest Crocodile-Horror ever made as well (“Lake Placid” ? “Crocodile” ? “Crocodile Dundee in Los Angeles” ?). From what I recall, the effects still hold up, which is impressive in its own right considering how awful the “Lake Placid” series looks. Another recent instant-classic, Australia has been making some impressive forays into the genre in recent years (“The Reef” in particular is probably the best shark movie since “Jaws”, but then again, every shark movie cover says that). I loved the juxtaposition of Horror & Happiness during the intertwining storylines, and many Horror fans can identify with Prom being a real Horror Show. 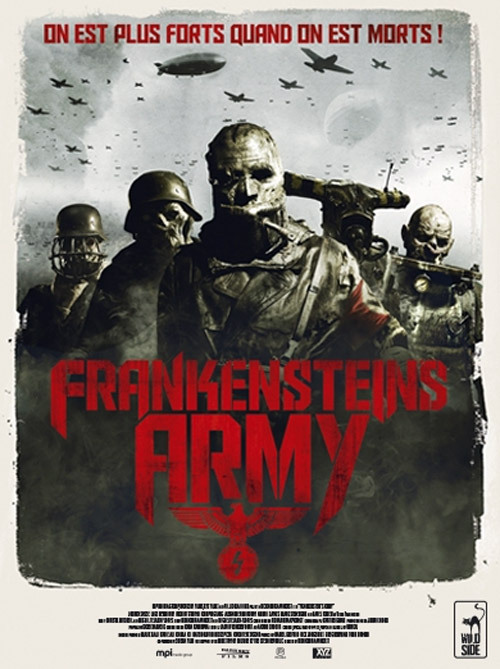 Although some complained about the logistical/factual problems of a found footage movie set during World War 2, I absolutely fell in love with the creature design work in this film. My wife actually watched this one with me & was furious at the lack of historical accuracy, which I found to be a hilarious criticism of such a film, but hey, at least she watched it, right ? I look forward to my second viewing, alone again (naturally). I only saw this for the first time a few months ago, but it was an exceptionally well made film that got under my skin & never truly left. While there have been several quality Spanish-made Horror films in the past decade, few have been as successful at slowly ratcheting up tension in a non-gory fashion. Well acted, written & put together, “Sleep Tight” is a real treat. Probably the epitome of the kind of Horror my wife can’t get into, this movie is a ridiculous treat for fans of low budget, old school UK Horror. I’m a sucker for most movies set in a remote “Something’s not right here, but will they figure it out in time ? ?” locale, and as a bonus, this one has Alfred from Tim Burton’s “Batman” films ! Gough check it out ! Sorry. Another recent instant-classic from the “Who even thinks up this stuff ?” Japanese, this one is a tough watch at times, but well worth the effort. There are some impeccably filmed scenes here, and although the subject matter is a tad grim at times, the end result is well worth enduring. And hey, at least it’s not “Martyrs”, right ? It’s like a comedy compared to that ! (In no way is it like a comedy). Possibly the film I’m most excited for this October. I’m a HUGE fan of Horror Anthologies, and short stories in general. I’m the kind of guy who will buy 6 different beers instead of a 6 pack. 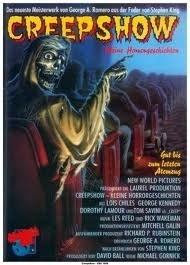 That said, TOO MUCH variety is often overwhelming & more of a letdown (I’m looking at you “ABC’s of Death” series). 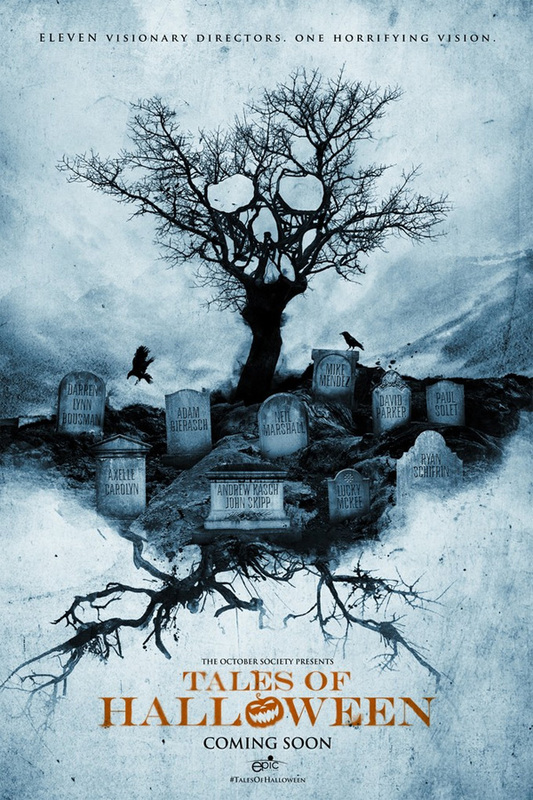 “Tales of Halloween” has a stellar cast of filmmakers behind it, and has been getting great reviews thus far. Honestly, I’d be watching even if it didn’t, but I’m thrilled to be able to check it out in theaters. Another unheralded indie film, this one was interesting due to being 1 story told in 3 parts by 3 different writer/directors. The tone shifts throughout, but not to an unpleasant degree. The midsection’s switch to Comedy was jarring for some, but I appreciated the variety they were able to bring to the story. Even if the middle didn’t work for some, the first & third acts were horrifically impressive. The original Canadian Classic ! To me, this movie didn’t really exist until MGM released the Uncut DVD/Blu Ray several years ago. 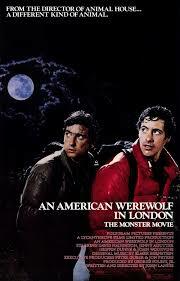 I remember seeing it on TV & being completely underwhelmed, to the point of not even enjoying the film itself. There was a good amount of fanfare when the Uncut version was released, and I’m so glad it survived (even if the cut scenes weren’t of HD quality). The kill scenes absolutely MAKE this film, and elevate it to a higher Cult status than it had already enjoyed. Always nice to see some old school Moosehead bottles too. The less we say about the unintentionally hilarious MBV3D, the better. 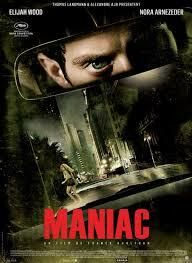 Another example of a remake improving upon the original (sorry Spinell fans), “Maniac” turned the Horror world upset down with both the casting of Frodo and the decision to shoot entirely in POV. Now, anyone who had seen “Sin City” knew that Wood’s casting was well earned, but would they be able to shoot 90 mins from his point of view without making it tedious or monotonous for the audience ? Much like “Will “Buried” be able to make 90 mins in a coffin with Ryan Reynolds interesting” and “Will “Frozen” (the good one) be able to make 90 mins on a ski-life with Iceman nerve wracking”, the answer was a resounding Yes. 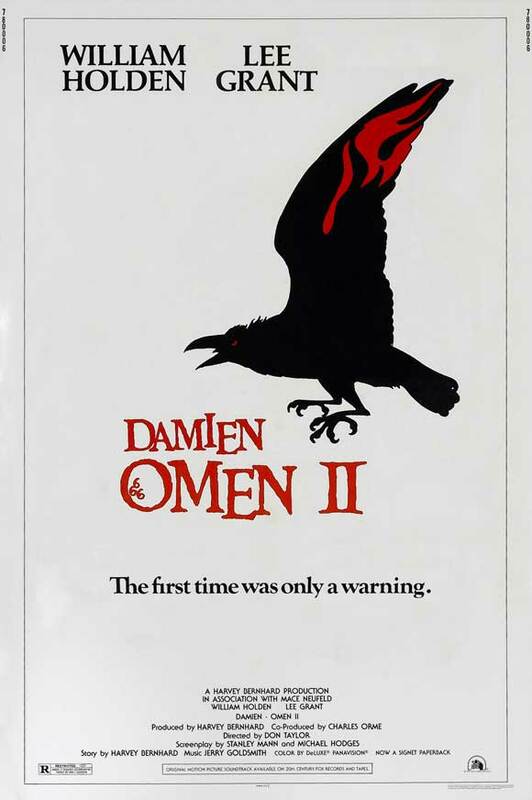 This might seem like an odd choice, but I actually preferred this film to any other “Omen” entry. There is a palpable sense of dread throughout, probably more so if you weren’t aware there were 2 sequels following. Several key scenes have always stuck with me, but the old man in the red snowsuit being trapped under the ice is one I’ll never forget. Who would’ve thought that Damien would eventually grow up to be in both “Jurassic Park” AND “In the Mouth of Madness” ?? He was truly blessed. Before rising to worldwide prominence for writing/directing “Guardians of the Galaxy” (but after marrying Pam from “The Office”) James Gunn wrote & directed this gross out Horror/Comedy gem. A partial homage to the aforementioned “Night of the Creeps”, you can tell the cast had a great time making this throwback genre flick. 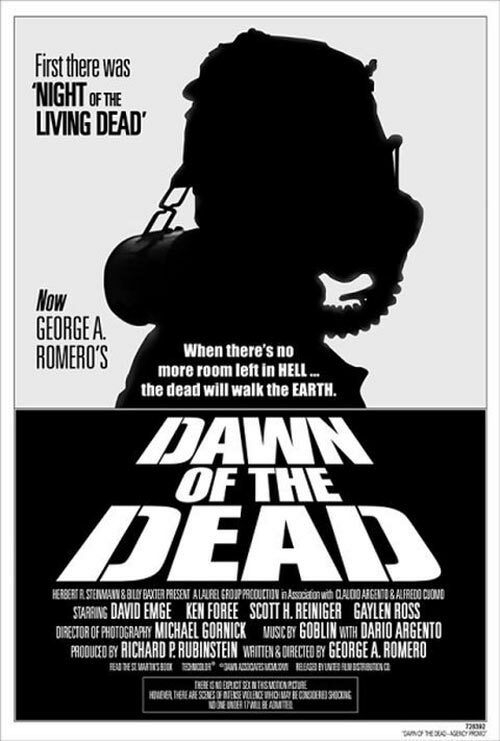 And speaking of decent Remakes, this was 3 years after he wrote the surprisingly decent “Dawn of the Dead” ! Not too shabby (unlike the remake of “Day of the Dead”). Another film rescued by MGM on DVD before before being re-rescued on Blu Ray by Scream Factory ! 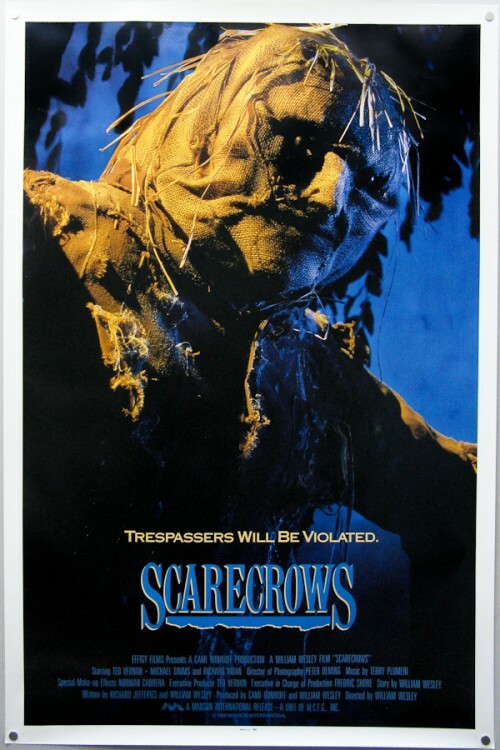 Actually, as I recall “The Burning” & “Scarecrows” made their DVD debut on the same day all those years ago ! “The Burning” is primarily known for 5 reasons. 1) It’s a rip-off of “Friday the 13th”. 2) Tom Savini did the FX. 3) It co-stars a young Jason Alexander (with hair !). 4) It was the first film made by Miramax (and was even co-written by one of the Weinstein’s). 5) Rick Wakeman (of “Yes”) did the soundtrack. 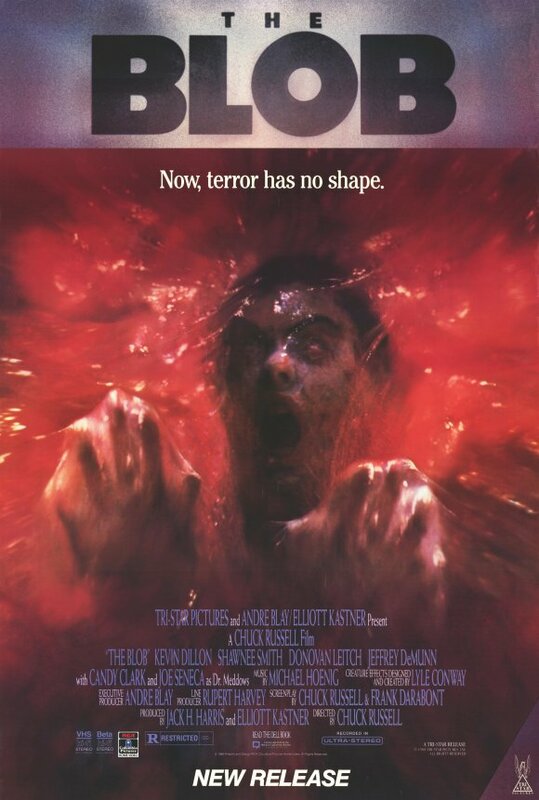 Not a bad pedigree for a low budget Horror knock off ! I saw this recently on Netflix & was quite impressed with the story & performances, so much so that I quickly went to Twitter to thank the Writer/Director for his efforts (he was pleased. Gotta love technology). 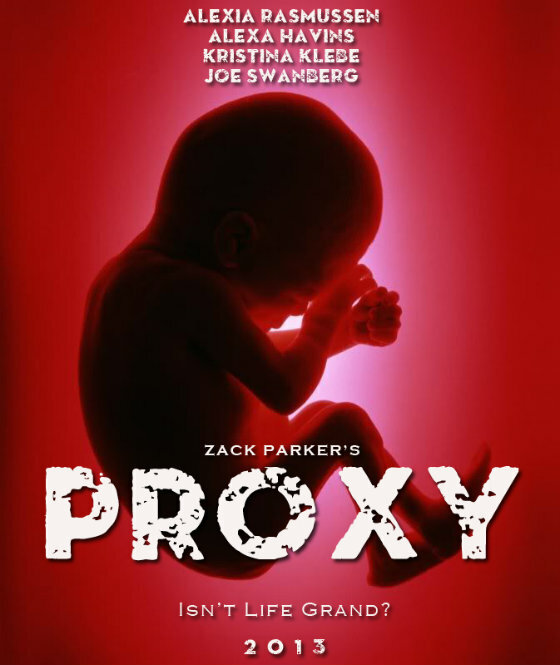 Though the subject matter is a bit touchy at times, “Proxy” never goes overboard, instead drawing it’s story out gradually with an air of mystery throughout. Highly recommended (if you’re into that sort of thing). Another film that wouldn’t appeal to my wife in the slightest, “LSJTD” is a slow, brooding, mid-70’s Horror with an unnerving sense of dread permeating almost entirely through its running time. I’ve really come to appreciate these dreamlike 70’s Horrors (Lemora, Le Orme, Who Can Kill a Child, Voices, And Soon the Darkness), though I do see why some find them tedious, especially by today’s standards. A criminally underrated film, perhaps partly overlooked due to the casting of David Caruso. “Session 9” is an incredibly unnerving film that slowly drags you further under its spell, never letting go until the credits roll. 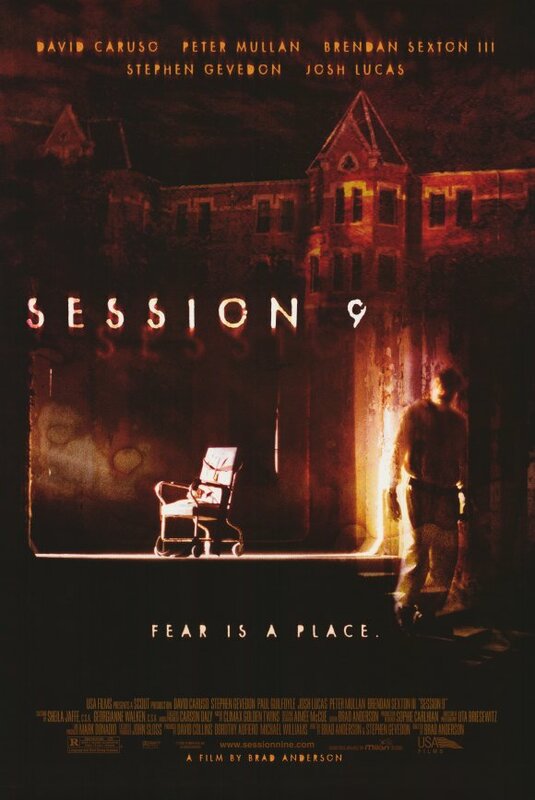 I’m a sucker for films set in asylums (though most are horrible rather than horrific) & “Session 9” uses its settings to great advantage. It’s a tense, frightening & thrilling mystery that’s well worth your time, even if it co-stars CSI:NYPD Blue. The third & final (lol?) “previously unseen” film is also arguably the most hyped. I’ve heard nothing but great things about this one, which is apparently more frightening than terrifying, but hey, so was “Shaun of the Dead” & “What We Do in the Shadows” ! If it can approach anywhere near those heights, we’re certainly in for a treat. 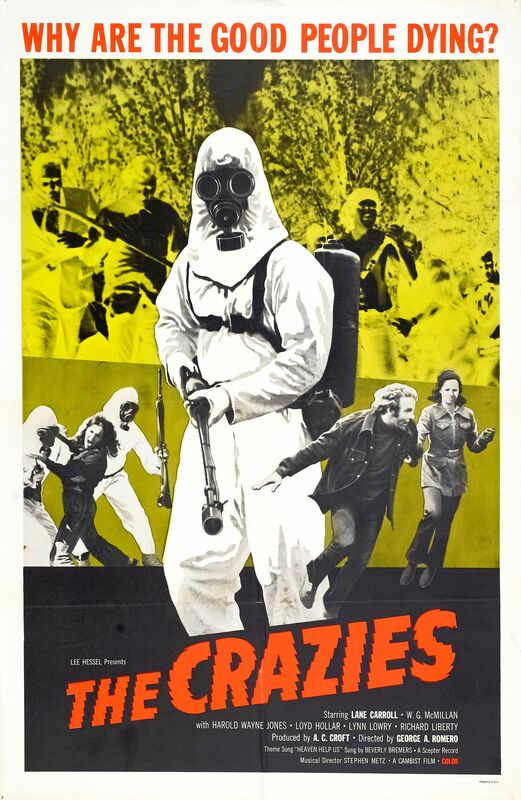 I was lucky enough to see this in the theater as part of the complete “Grindhouse” experience. Unfortunately I was unlucky enough to stay around for “Death Proof” afterwards, but it didn’t take away from the shear lunacy/joy of Robert Rodriguez’s zombie epic. 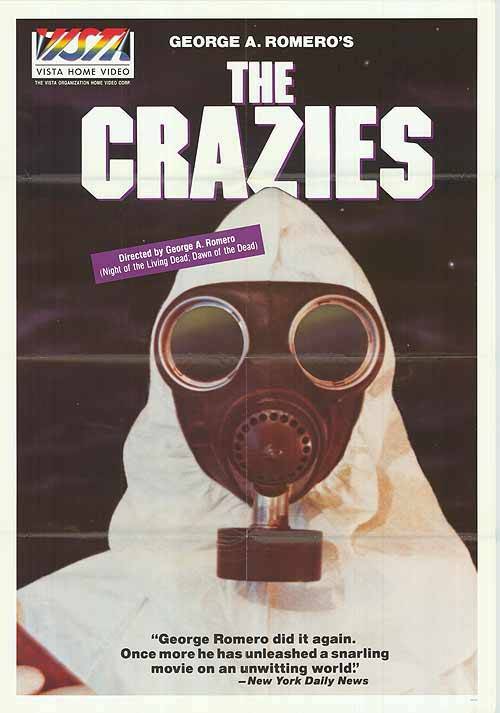 Yes, it doesn’t look low budget or much like a true Grindhouse film, but dammit, it was a blast ! I have yet to watch my Blu Ray of the “extended cut”, but if the movie is as good as I remember, I’ll be pleased as punch. (PS – I like Tarantino’s next 3 films, but DP just didn’t do it for me). 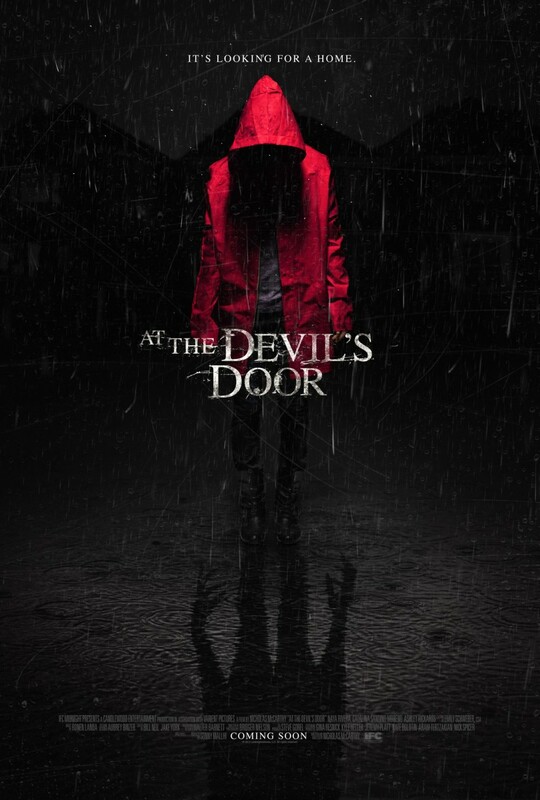 Another recent Netflix discovery, this was a pleasant surprise, especially amongst a sea of awful DTV Horror films with “Devil” in the title (not you “Devil”, you were alright). I couldn’t remember too much about this one the next day, apart from being impressed enough to vouch for it to my wife. We’ll soon see if that was a foolish effort on my part. One of the most divisive Halloween films (largely because it’s the only one to NOT feature Michael Myers), “Season of the Witch” has enjoyed a sort of Cult Renaissance in recent years, largely from fans being like “Who cares if it’s the only 1 of 11 Halloween films to not feature MM, it’s a good story !”. I mean, Halloween 8 DID have MM, and it was horrible ! 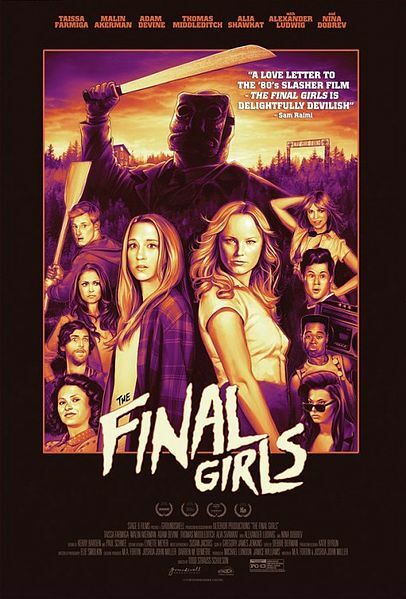 Looking forward to seeing what Scream Factory brought to the table on this one. And hey, you can’t go wrong with Tom Atkins (even if “Night of the Creeps” didn’t make the list). There were a few Runner Ups that didn’t make the cut for one reason or another, though all are totally worthy in their own ways. I thought I’d include them for fun though, so you can tear into me for cutting out one of them in favour of some movie you thought sucked. Have at it, we’re all friends here ! Although I may have offended Joe Spinnell, Quentin Tarantino, Eli Roth, Michael Bay & Tom Atkins. Still, I had a good run.